Dingbat 2.0 is the first critical study dedicated to the quirky and idiosyncratic “dingbat” apartment, which for more than half a century has been largely anonymous, often misunderstood, and occasionally fetishized—as much for being ugly and ordinary as for being innovative, iconoclastic, and distinctly “L.A.” Even if you don’t know the name, all Angelinos know the dingbat. Built in the ‘50s and ‘60s, the dingbat is recognizable as a boxy, two-story apartment building with a variety of decorative facade styles and open carports. Learn how the dingbat played an essential role in the development of Los Angeles, and how it might help shape the future of the metropolis. 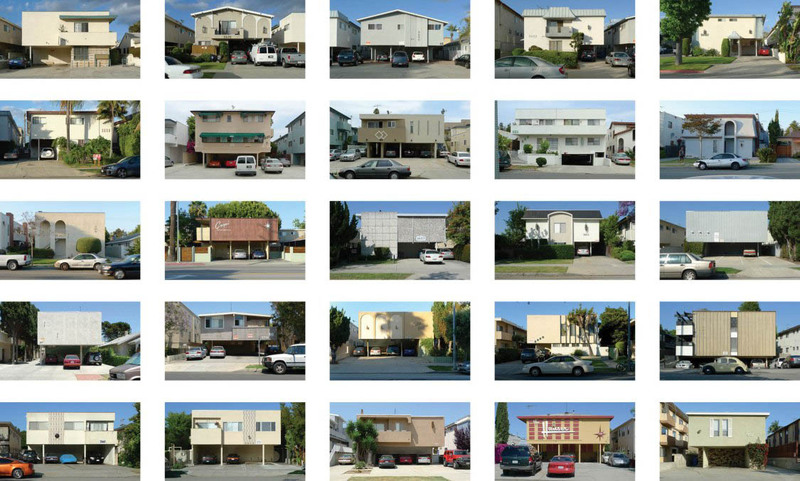 Dingbat 2.0 integrates essays and discussions by some of today’s leading architects, urbanists and cultural critics with photographic series, and speculative designs from around the world to propose alternate futures for Los Angeles housing and to consider how qualities of the inarguably flawed housing type can foreground many crucial issues facing global metropolises today. Dingbat 2.0 includes essays by Barbara Bestor, Aaron Betsky, James Black, John Chase, Dana Cuff, Thurman Grant, John Kaliski, John Southern, Joshua G. Stein, Steven A. Treffers, and Wim de Wit, as well as photographic series by Judy Fiskin, Paul Redmond and Lesley Marlene Siegel. 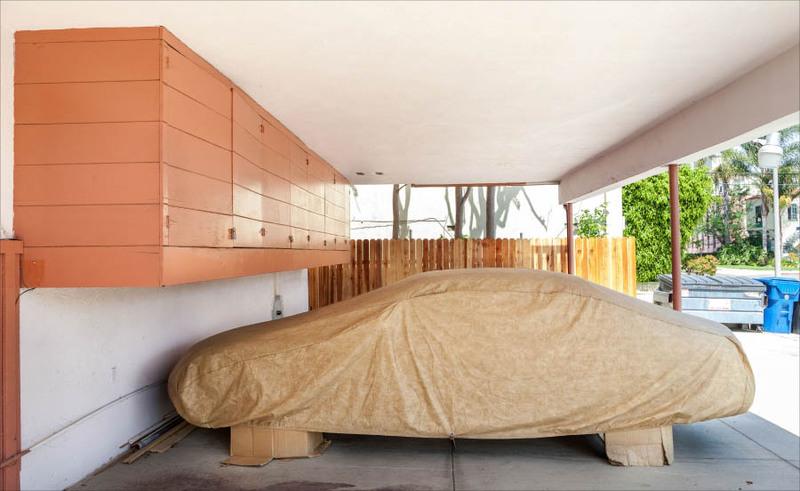 Thurman Grant is a Los Angeles-based architect and an adjunct faculty member of the Interior Architecture Department at the Woodbury School of Architecture. Grant was the president of the LA Forum Board of Directors in 2012-2013. Joshua G. Stein is the founder of Radical Craft (www.radical-craft.com), a Los Angeles-based studio that advances an experimental design practice saturated in history, archaeology and craft, and is Professor of Architecture at Woodbury University. Stein is a former member of the LA Forum Board of Directors. The Dingbat 2.0 publication includes work from the LA Forum’s Dingbat 2.0 Competition and Dingbat 2.0 Exhibition, both held at Woodbury University’s WUHO gallery in Hollywood in 2010. More info about the Dingbat 2.0 project can be found at Dingbat2.com. The majority of the funds for the Dingbat 2.0 publication were raised by the LA Forum’s 2014 crowd-funding campaign on Kickstarter.com. 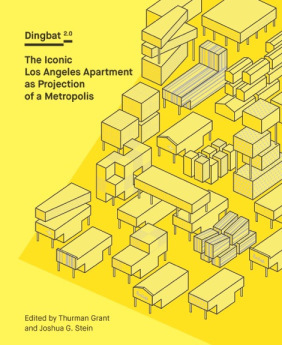 Additional funding and support for the Dingbat 2.0 project was provided by the Woodbury University School of Architecture, DoppelHouse Press, and grants from the National Endowment for the Arts, the City of Los Angeles Department of Cultural Affairs, and Enterprise Holdings Foundation.